So today’s challenge was rain. Lot’s and lot’s of rain. I first tried outdoors after midnight with my flash and a headlamp, the results where gross. I then spent about an hour today outside in the garden with all my rain ready gear and started snapping some shots. I was not sure what to capture, I feel like everything has been done before, then I remembered I have 363 more days of this to go. 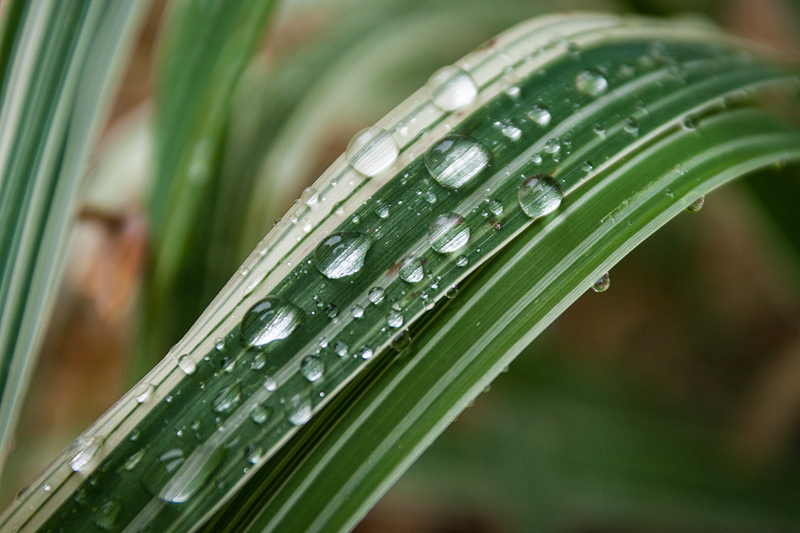 I can not keep sweating it and just need to go with it, so here it is – rain drops on the blade of a plant (OH MY GOD THATS NEVER BEEN DONE BEFORE! ).